Digital PS4 version reviewed. This review contains little spoiler content. The wait is finally over. 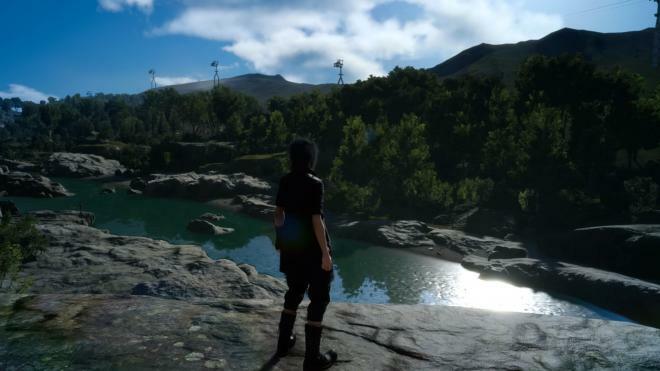 After 10 years in development, 'Final Fantasy XV' is finally available. Telling the story of prince Noctis Lucis Caelum, players will go on a trip through a vast open world and discover a plot that threatens all of humanity, while engaging in exciting party-based action RPG combat. 'Final Fantasy XV' is a messy game, but that's part of why I love it as much as I do. For all the development troubles it's gone through over 10 years, and the oddly rushed nature of much the game's back half, there's a clear love that shines through every crack, and a level of ambition that few games aspire to. I've played games that were better put together, or had fewer weak moments than 'FFXV' does, but I can't think of a single game this year that's made me smile quite as much as this has. The story holds some of the game's worst aspects while also giving rise to possibly its greatest strengths with the excellent core cast of characters. Atthe onset, Prince Noctis Lucis Caelum is leaving for an arranged marriage with Lunafreya Nox Fleuret as part of a peace treaty between his city of Insomnia and the Niflheim empire, who have gradually been placing much of the world under their command, with Insomnia acting as a last bastion of independence. On the way to the wedding, the empire attacks Insomnia, and Noctis along with his three friends, must help him gain the power of his ancestors to save Insomnia and become king. It's a surprisingly straightforward story for the franchise, though it's one that's told fairly poorly. The synopsis above all comes within the game's first chapter, and after that point, things take a fairly leisurely turn and stay that way for a good half of the game. At that point, 'FFXV' truly opens up and allows players to explore a wide open world absolutely packed with things to do. Simply rushing through the story, this first half should take about 10 hours, but it's where I spent the next 60, constantly helping out locals with whatever they asked of me. The game's structure takes a turn for the linear as it goes on and focuses, in some ways acting like a reverse 'FFXIII', but with an open half that's filled with variety and joy, as opposed to simply just being packed full of fights. It's important to mention this turn in the back half, as it's where a lot of the game's troubles begin to become apparent. There are strange gaps in the story, either for future DLC or because of how much the game's narrative has changed during development. Characters who seem important almost vanish, and scenes are confusingly written. Looking back on it, I could easily relay much of what happened and the reasoning behind it all, but it's executed sloppily and relies on the player to listen to optional conversations on radios, occasionally even hiding optional cutscenes. While I had issues with the storytelling, I loved the core party so much, with incredibly natural feeling banter amongst the group and some absolutely terrific character development. By the end of it all, I was extremely attached to the party, and hopped right back into post-game content to spend more time with them. The game falters when simply rushing through its story. 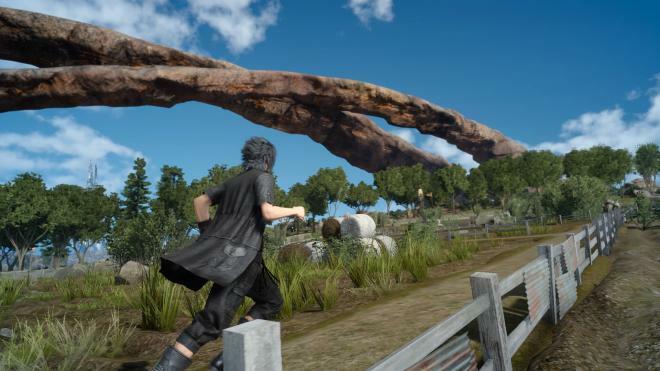 While most open-world games seem to focus on snappy moment-to-moment thrills, 'FFXV' wants players to slow down and drink everything in, go fishing, relax in the car with your party, go on hunts, cook food, race chocobos, and simply enjoy themselves. I really love the nature of the game's open world, as it's pretty unlike any other entry in the genre. Sprawling cities aren't really a major factor, though they're certainly in here, instead, the party travels on backroads and stays at rest stops with terrible fast food chains, or simply camps out under the stars. There's a level of intimacy the quietness of it all provides, with the game giving human touches to just about everything players do. Information isn't received by climbing a tower or anything like that, instead, the party needs to go to restaurants and ask the owners for tips about their surroundings. At the end of each day, your party shares photos that have been taken of them goofing off and enjoying themselves like friends on a roadtrip. These are small touches, but I greatly appreciated them. It's a world full of exciting things to see and do, with fantastic, tense dungeons to explore and tons of secrets to find. Of course, none of this would matter much if the actual gameplay weren't worthwhile, and I'm extremely happy to say that 'FFXV' is a triumph in this regard. 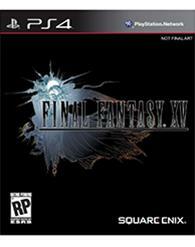 The first mainline entry in the series to shift away from turn-based combat entirely, the game sees players exclusively controlling Noctis while issuing simple commands to the rest of the group. Holding a button and a direction will see Noct perform different attacks, while holding a defense button will have him dodge most attacks that come his way, at the cost of MP. When MP is drained, the player enters Statis and can't dodge or do much of anything beyond attacking, so managing this is pretty crucial. Additionally, and most notably, Noctis can warp to enemies and to certain points in the world, dealing strong warp strikes that can break enemy appendages or knock them over, while warping to points will restore his MP. On a fundamental level, combat is extremely simple, but giving it more time opens up more and more of its subsystems, making it gradually more complex in a way that's never overwhelming. The player can assign skills to each one of Noct's three friends, and a bar that fills up in combat governs when these skills that can be used. These skills can range from simple attacks, to buffs for the party, to stunning entire groups of enemies, and they grow stronger with each use, additionally, attacking enemies from behind will deal additional damage as well as have a random party member team up with Noct for a much stronger attack. While only one character is ever playable, combat always feels like a team effort with a fair bit more strategy than Action RPGs often have. There's even an optional Wait Mode that stops time when the player isn't moving, allowing specific targets and actions to be selected and weaknesses to be scanned before getting back into the action. It's a small addition, but letting players drink in a given situation to best decide how to move forward makes the game feel a lot more tactical. Unfortunately, the game's magic system feels rather tacked on, tasking players with drawing elemental energy from various points in the game world, then crafting their own spells using energy of their choosing and items that change the effects of a spell. There's some complexity to it that's appreciated, but spells essentially act as grenades that deal massive damage but can hurt the party as well. The system never really clicked with me, and it felt like too much work to constantly craft magic. Character progression is done both through traditional levelling, where all exp is stockpiled until the party rests at a camp or hotel, and through Ascension. Ascension is similar to the renowned Sphere Grid from 'Final Fantasy X', giving players a lot more control over how the party develops. Divided into different grids, players can focus on improving aspects such as combat, teamwork, and exploration. These skills can dramatically change the feeling of fights and much of the game's systems. The first skill I bought allowed me to dodge at no MP cost if I hit the button right before an attack landed. Later, I was able to constantly do airdodges that allowed me to constantly stay airborne, and I was even able to turn the Stasis effect into an advantage by giving myself a massive strength boost when my MP was drained. Customizability is one of the game's greatest strengths, by far. 'FFXV' is frequently beautiful, with one of the prettiest game worlds I've seen in a long time and some incredibly expressive character models. The game's towns and cities are a joy to explore just to see what they look like, and the monster designs are some of the best in the franchise. There are some issues with jagged edges on a standard PS4, particularly on hair, and some environments just didn't seem to get as much attention as the rest of the game, but it's largely a gorgeous game. The English voicework is largely great when it comes to major characters, though a lot of the world's inhabitants feel stiff and awkward, though for those who'd prefer the game voiced in other languages, the game allows for several dubs to be selected while still using English subtitles. Yoko Shimomura's score is both one of the best in the series and some of the best of her career, making each and every scene of the game more enjoyable. Battles feel significant even when they're tiny, the music playing at rest stops is catchy and fun, and certain story beats are dramatically enhanced by her work here. It's phenomenal stuff and easily one of the year's best soundtracks. Simply rushing through the story will take about 20 hours, but the open-world is so packed with things to do and unlocks even after the credits have rolled that this could soak up around 100 hours easily. I've put in 70 hours so far and I'm still inundated with things to do and optional dungeons to explore. Depending on how it's played, this is either one of the shortest entries in the series, or the longest. While it occasionally buckles under its own ambition and the game falters somewhat as the plot ramps up, overall 'Final Fantasy XV' is a beautiful, exciting game that I dearly loved. It may not be the best game I've played this year, but it is almost certainly my favorite, and Square Enix has built an incredible, extremely unique open-world. 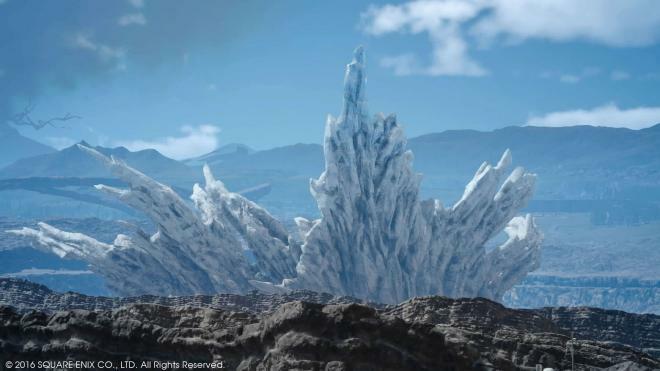 While I'm not sure I want 'FFXVI' to follow suit and be an open-world like this one, I'd absolutely love to see them expand upon some of the ideas presented here in future. A remarkable return to form for a franchise that many felt had lost its way.